Fintan Warfield said he wants to be a beacon of hope for those in the community who feel invisible. THE NEWLY ELECTED mayor of South County Dublin, Sinn Féin councillor Fintan Warfield, has said he takes personal pride in being the youngest mayor of a local authority in the country and in being “an openly LGBT mayor”. After being elected mayor this afternoon, 22-year-old Warfield, who is a relation of Wolfe Tones musician Derek Warfield, gave his maiden speech in the chamber. He said that if, in twelve months’ time, he can look back on his term and honestly say he took his role into the homes, communities and work places of the people he represents, he will be “a proud republican activist”. Warfield said he wants to be “a voice for those who have been left out or left behind”, campaigning for change, for inclusion and for equality. To promote practical solutions to the youth unemployment crisis. The Sinn Féin councillor, who has been active in the campaign for LGBT equality in the community, said he believes the office of mayor should be “a beacon of hope for those who feel invisible”. Maybe it’s the girl with the funny name or unusual accent. Maybe it’s the boy who wants to wear make up in school. Maybe it’s the single mother struggling to make ends meet. Maybe it’s the unemployed man ashamed that he can’t put food on the table. Maybe it’s the older person who goes to the Square to keep warm or whom no one has visited in weeks. These are the people who I as mayor want to stand with. He spoke of the upcoming referendum as an opportunity for our society to say that it values all relationships. Email “New mayor of South Dublin says he's proud to be 'an openly LGBT mayor'”. 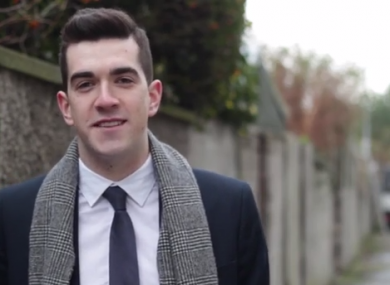 Feedback on “New mayor of South Dublin says he's proud to be 'an openly LGBT mayor'”.